On September 30th, 2016, Domtar sponsored FSC Friday, the annual event designed by the Forest Stewardship Council® (FSC®) to raise awareness about responsible forest management. For over 20 years, FSC has worked to take care of forests and the people, plants, and animal species that depend on them. The FSC label gives assurance that wood, paper, and other forest products have been responsibly sourced from well-managed forests and/or recycled materials. FSC Friday is about sharing and promoting that message, so that our forests can remain forests for generations to come. Starting in 2008, FSC Friday has grown bigger each year, spreading to become a global success. FSC offices, certificate holders, members and partners host a series of awareness events around the world. Last year, FSC Canada hosted a social media campaign gathering 158 social media accounts to concurrently send out a single message about FSC and responsible forestry, which reached over half a million people. As part of this year’s event, Domtar sponsored efforts focused on increasing awareness around the importance of responsible forest management. “We are thankful for Domtar’s support in helping us demonstrate how we can keep our forests for all forever,” said Francois Dufresne, President, FSC Canada. “Domtar is committed to making a considerable contribution to the health of the world’s forests, and we will continue to tell the world why this is such an important topic,” said Paige Goff, VP Sustainability & Business Communications at Domtar. Domtar’s early adoption of FSC certification, history of industry-leading collaboration with Non-Governmental Organizations (NGOs) and bold commitments to increasing the supply of certified fiber have helped earn the company produce over 6.5 million tons of FSC certified paper since 2005. 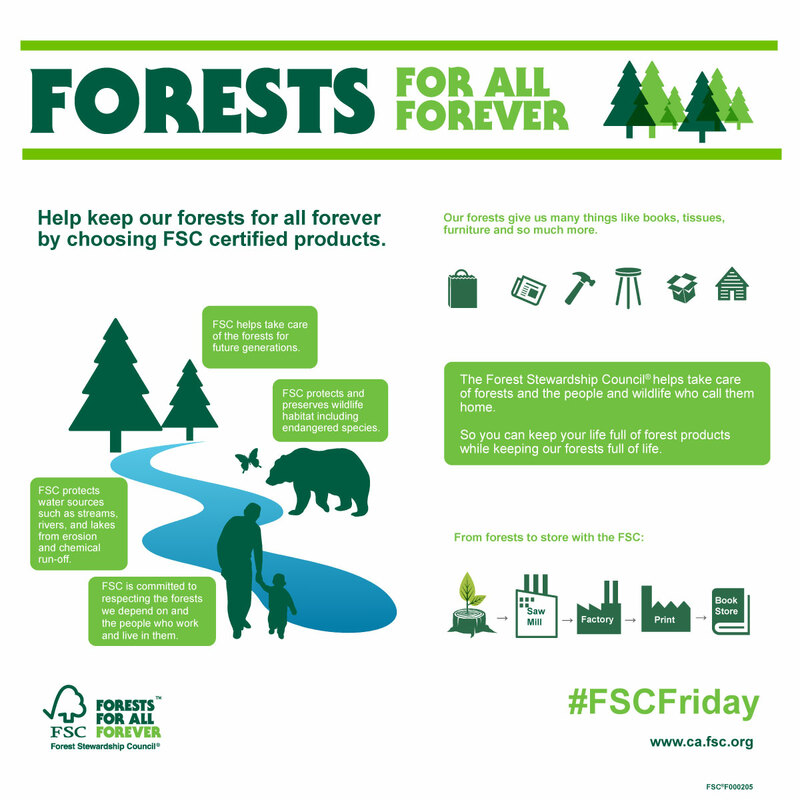 More information about FSC Friday is available at https://ca.fsc.org/en-ca/get-involved/fsc-friday-2016. To learn the role of transparency, collaboration and accountability in Domtar’s wood procurement practices, please visit www.domtar.com/forestryprinciples.